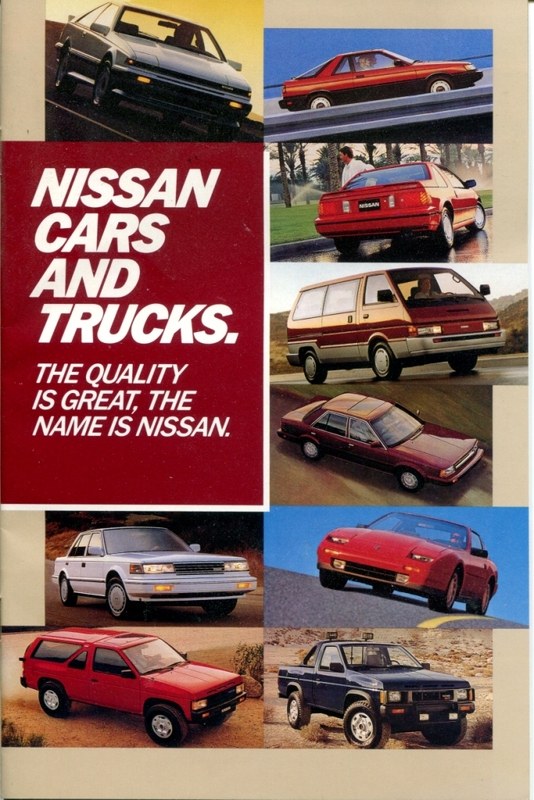 Just a couple years removed from completely divesting themselves of the ‘Datsun’ name in the US market, Nissan was on a roll… 1987 was a good year for the company, and the lineup included some memorable vehicles as well as some that faded quickly into automotive history. 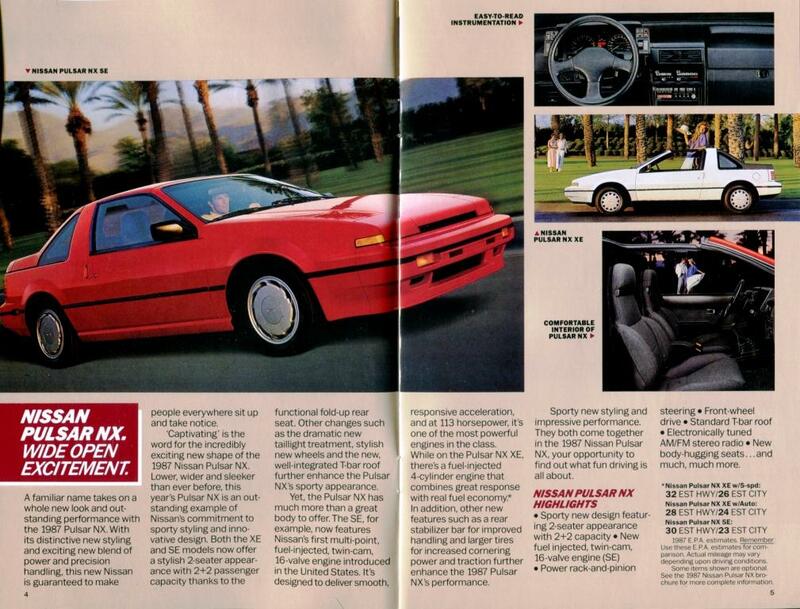 Who wouldn’t love to have a pristine well-equipped ’87 200SX SE? 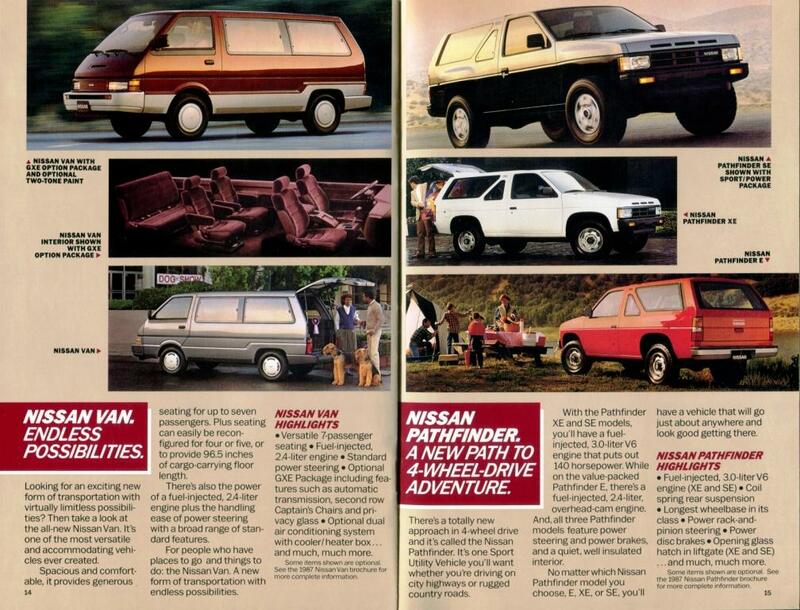 Or better yet, a two-door Pathfinder? 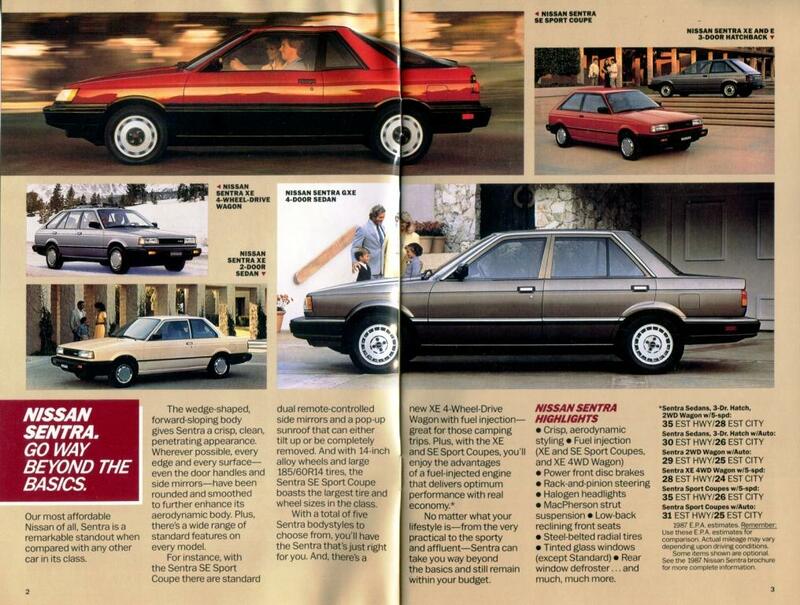 We’ve preserved this full-lineup brochure from 1987 to share with you guys, and we hope you enjoy it. 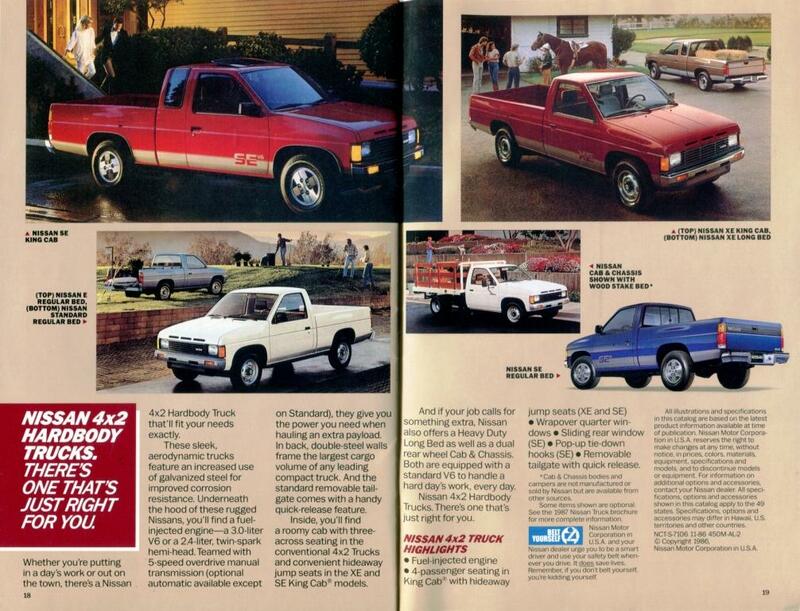 Thanks for being a part of everything we do! 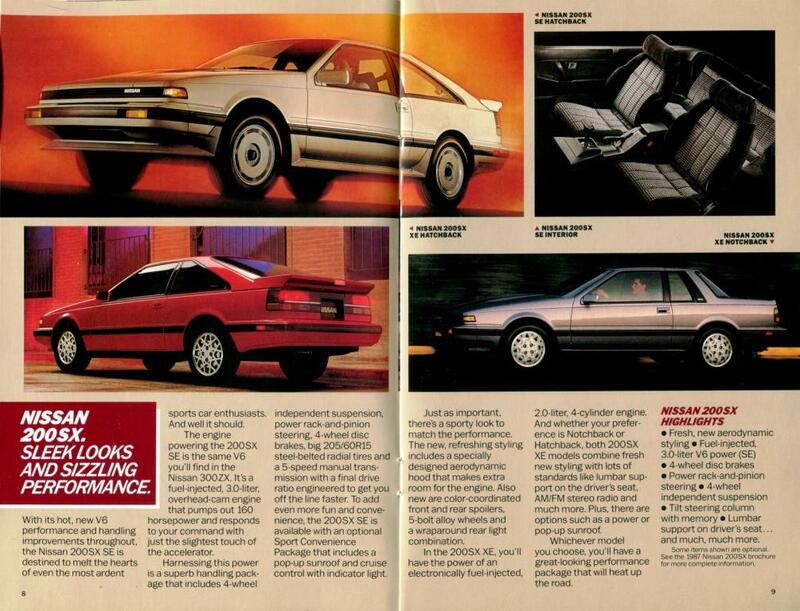 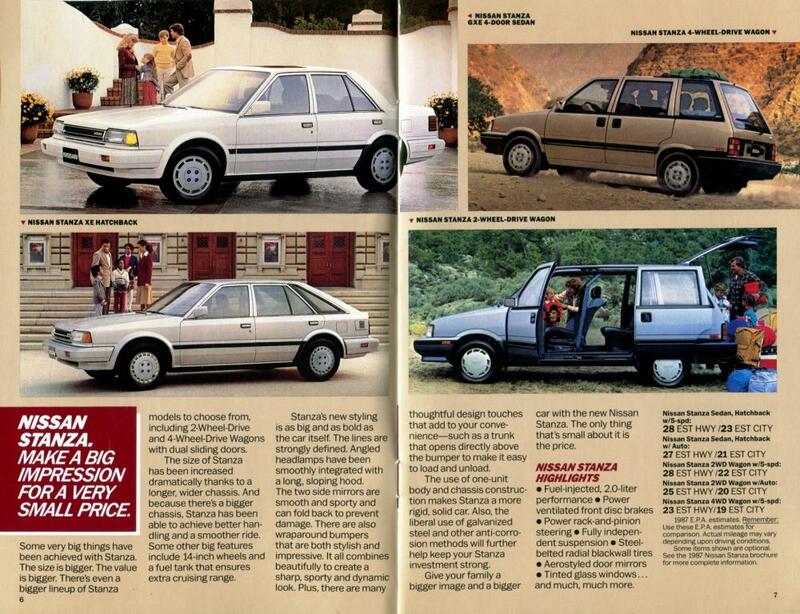 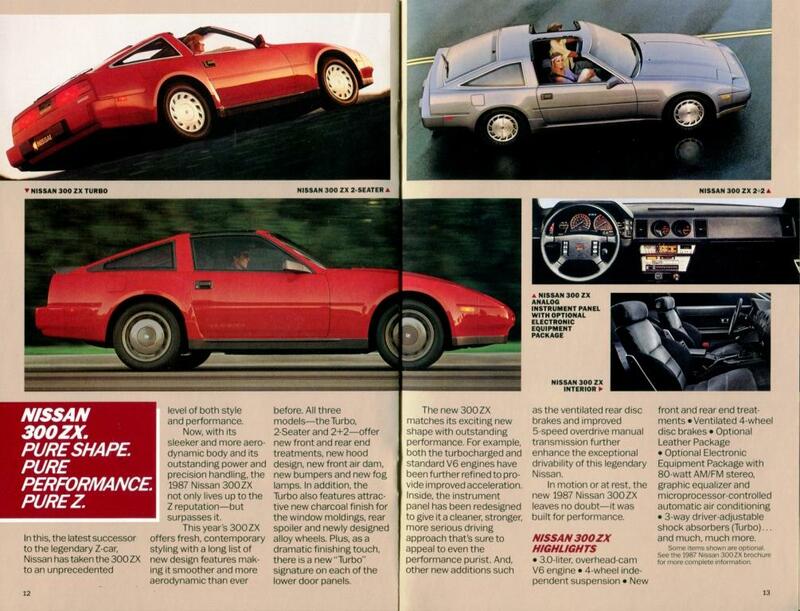 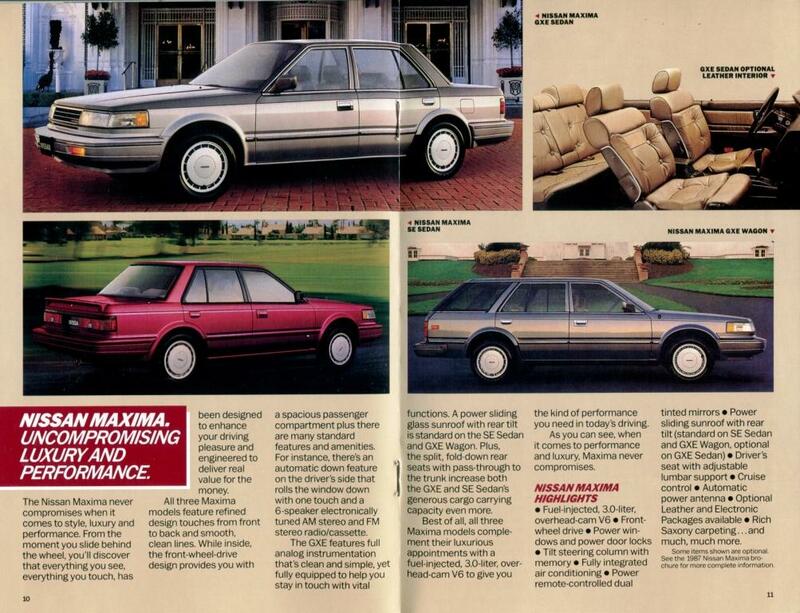 The 1988 Nissan lineup more your speed? 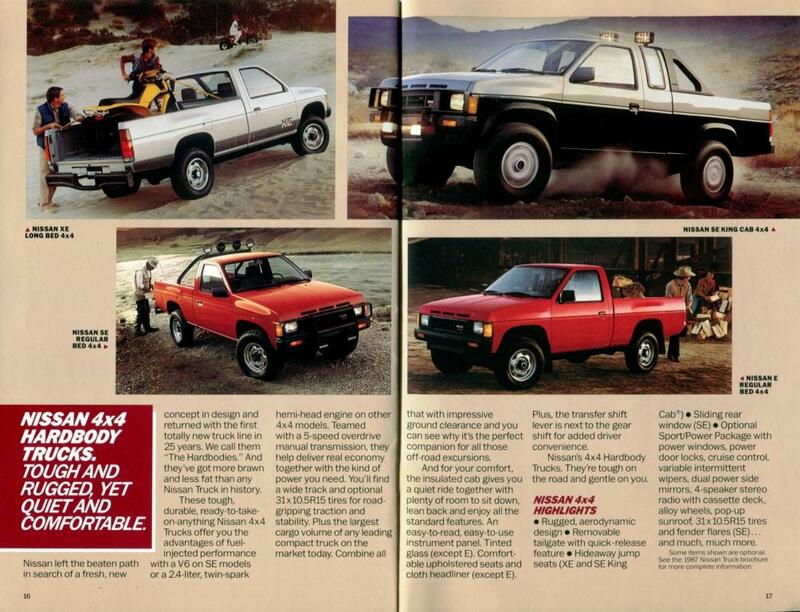 Well, we have that as well!